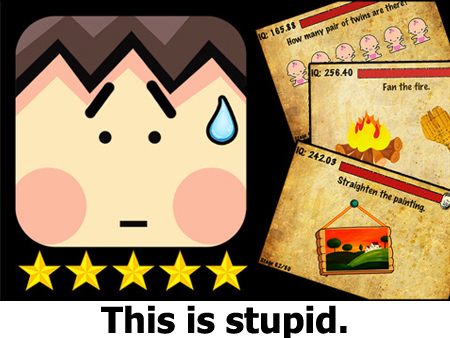 Stupidness 2 has taken the top spot in the UK and US Apple app stores and does exactly what it says in the description. 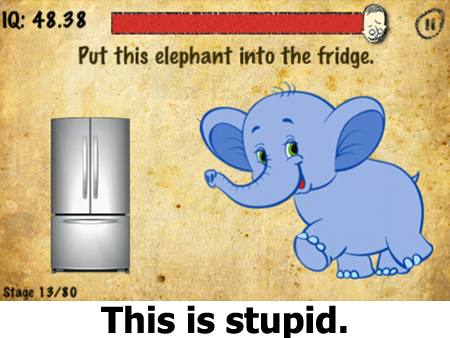 “Test your IQ level with the stupidness 2 game! Think and figure out your way quickly through the impossible stages!” So how does it do this? There are two versions of the game, a free version and a premium version with 80 levels aimed to test your intelligence. It’s a lot like the moron test and even uses some of the same graphics including the little yellow duck. All of the levels are equally as tricky and crafty as the moron test and we like it just as much, it’s very easy to see why this game has shot to top of 18 international app stores. The game awards you an IQ based on your performance, which is a little bit of fun which we’d suggest you take with a pinch of salt. Other features include the ability to update and post your scores on Facebook and they are promising to roll out new levels in the near future. We really liked playing the game and found it a great app to pass around the office or amongst friends, if only to point and laugh when they get an answer wrong, just be sure you have got it right before demonstrating your skills. 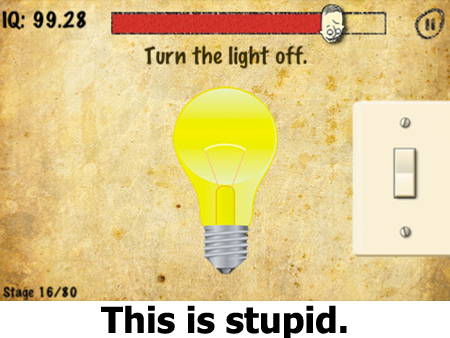 Have you played Stupidness 2 yet? If not grab the free version through the app store, it’s well worth the price ;-).